Jay Z and Solange Knowles went looking for jewelry together Tuesday afternoon at a high-end NYC jewelry store, according to TMZ. Sources connected with the store say Jay and Solange were in Mr. Flawless, where they were looking for women’s jewelry for around 20 minutes. We’re told the pair showed no signs of strife, and looked at gems with Mr. Flawless himself. They looked, but tried nothing on. They left the store without buying anything. 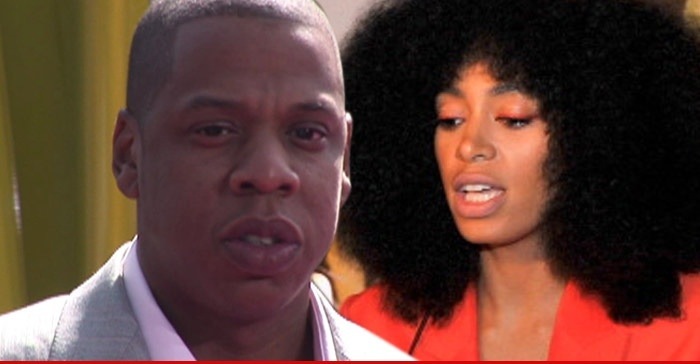 Jay and Solange didn’t talk much inside the store … they pretty much just browsed quietly. This entry was posted in Celebs and tagged Beef, Beyonce, Family, Jay-Z, reconcile, Shopping, sister, Solange, TMZ. Bookmark the permalink.